So I’ve been working on this movie called Goliath (details) . It was quite an experience. As a writer, you’ll write something like, EXT. 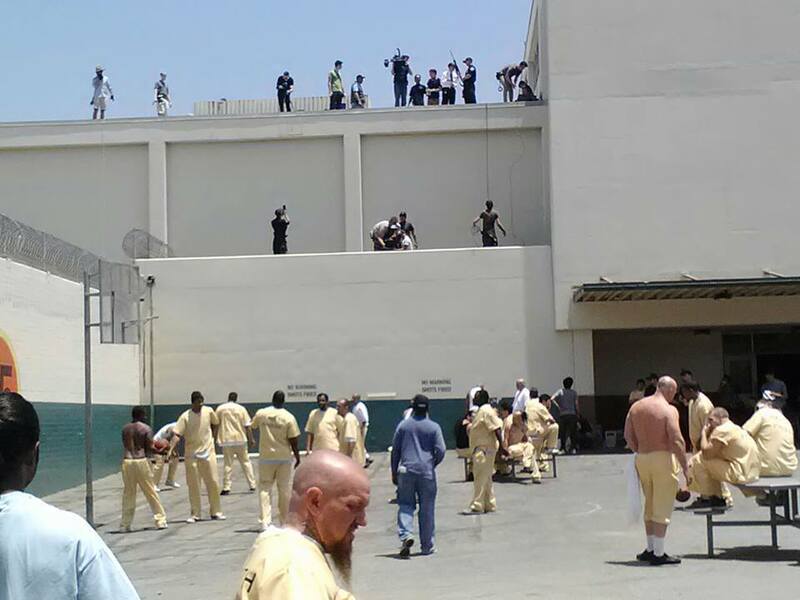 PRISON YARD — DAY: Guards look down at the segregated yard below. Then you get to set and you realize it took dozens of people hundreds of manhours to create a realistic simulation of what to you was a throwaway line to set up the backdrop for the scene.. In the interest of populating my anemic blog, here are some lessons I learned from the amazing experience. Anything you write will have to be conveyed or said. There is nothing worse than having actors struggle through a Bible’s worth of text while it becomes clear they could have conveyed the same information with a glance. On set, the crew will work off the script and endeavor to literally put forward what you’ve written. Actors will will ask you about the tertiary meanings of some throwaway line. So when you drunkenly write some bit of business or revelation you need to set up the line you really care about, remember that someone is actually going to have to live with that for a long time. As a writer, you’re going to be pretty useless on set. Maybe you’ll be called upon to change a line or some choreography, maybe an actor will ask you some backstory questions, but mostly you’ll wander around set eating snacks of the craft service table., intermittently flirting with the cutest available PA, who will inevitably have a boyfriend . Bring your laptop, drugs, or both. Procrastination is the grave opportunity is buried in. Love this, Matt. You are a rock star!